There was some pretty dense fog this morning that kept most everyone at the dock til in burned off mid morning. A couple boats waited for the fog to lift and eventually made it offshore. They had good catches of Blackfin Tunas again with some big amberjacs as well. The picture is of two of Blackfins that were definitely LOST. 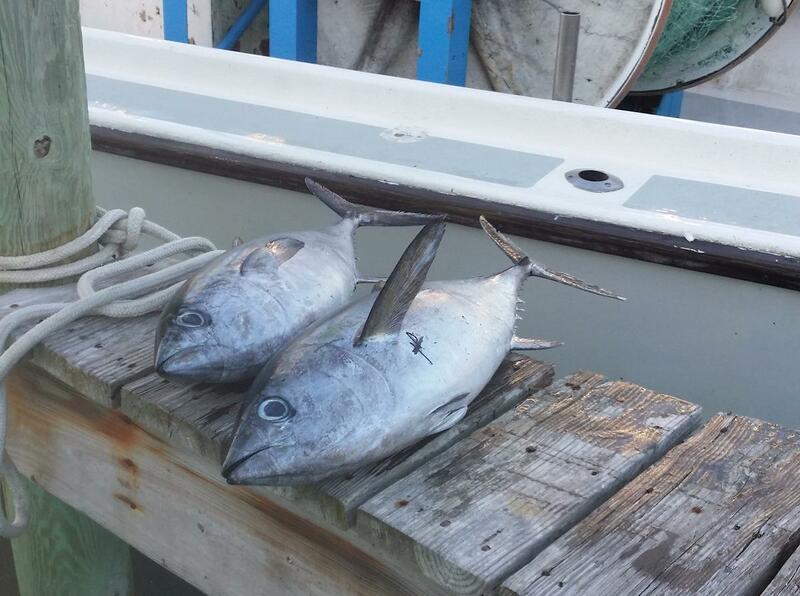 They were caught today by a commercial boat about 2 miles off the beach. Pretty rare to catch these that close much less to do it in January. There was also a showing of Cobias today for the commercial fllet as well. If this keeps up we will be catching Marlins in March.